DNA testing has certainly proven to be a great asset in showing biological relationships and can be done across the country. Keep in mind though that just because you may not be blood related now as you once thought after testing, that does not necessarily mean you have no love for that individual or persons any longer. Take adoptive parents for example, they know this very well. However they knew from the beginning that their kids were not their own…biologically speaking anyway. Unfortunately, in DNA circumstances, there are many fathers out there who find out many years after a child has been born that he is not the actual biological father. Does it hurt? Of course it does…but many continue to remain in the child’s life and still is considered “Dad” to that child. On the other side, some men out there get a call “out of the blue” from an adult child stating that they think they are the offspring from a past relationship with their mother. When the results come back positive, that doesn’t automatically mean though that they become instant family either. Family means different scenarios to many people. For a lot of us, it means a Mom, Dad, kids and a pet or two. For some, it’s a Dad, a Dad (or a Mom and a Mom) and a kid or two and a pet. Others, define it as a single parent and/or grandparents taking care of several children. 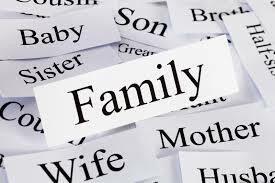 Whatever your definition of family is, don’t just take them for granted and remember that your current relationship(s) with them does not have to change just because DNA tests show that you are (or perhaps are not) biologically related to someone. There are many emotional issues and technical variables involved when deciding to follow through with DNA testing. So you want to ask yourself: Why do I want the testing done? What will it do to my current family relationship? Then make sure you are ok with both scenarios if the results come back positive and negative. Sure it would be nice to add a new family member to your family tree, but you have to keep in mind that perhaps the other party may not be as willing to add yours to their tree because they may already have a “family” of their own. If you have questions regarding DNA testing and would like more information or would like to see about getting tested call on of the representatives at 1-800-993-1495 to find out more.